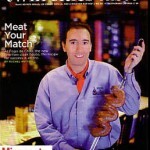 When Texas-based Fogo de Chao prepared to launch its Brazilian steakhouse concept in Minneapolis, it chose Maccabee to coordinate a Grand Opening VIP party and media relations campaign. Leveraging Fogo de Chao’s South American gaucho chefs, Maccabee turned the opening into a symbol of the urban renaissance of downtown Minneapolis that began with the opening of the new Guthrie Theatre nearby. PR strategies included in-studio cooking demonstrations and welcoming a Fox 9 TV reporter into the kitchen to serve as a gaucho-for-a-day. 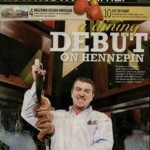 Results were exceptional — media coverage ranged from full-color spreads in Mpls/St. 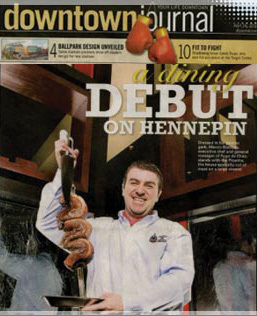 Paul, Minnesota Monthly and Meetings: Minnesota’s Hospitality Journal magazines and a full-color cover preview in the Minneapolis Downtown Journal to feature stories on three Twin Cities’ TV stations and an explosion of blog coverage. 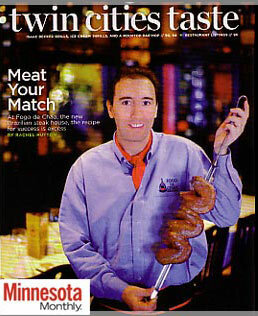 The Minneapolis launch became one of the most successful in Fogo de Chao history. 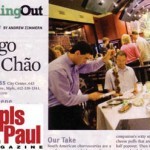 Despite an economic downturn that shuttered many downtown retailers, Fogo de Chao’s Minneapolis location was the single highest grossing restaurant during its opening year.